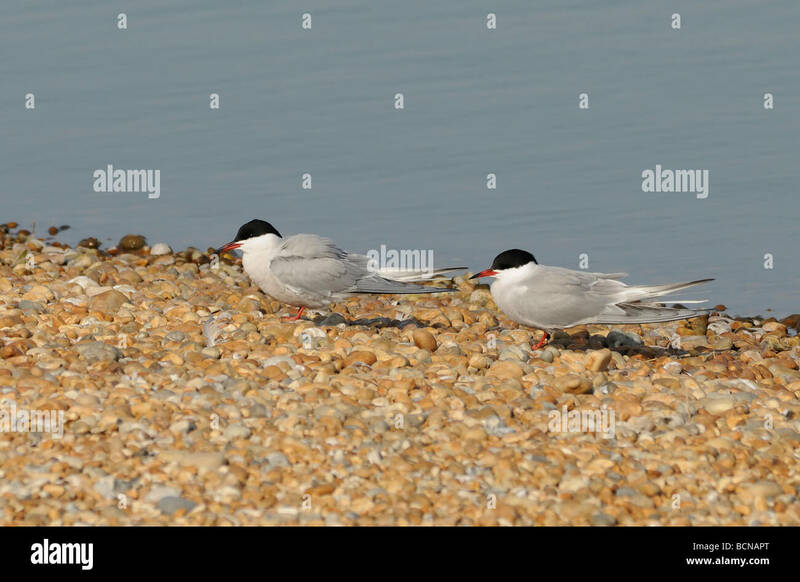 A pair of Common Terns (Sterna hirundo) on the shingle near its nesting colony. Rye Harbour Nature Reserve. Location: Rye Harbour Nature Reserve. Rye, Sussex, England, UK.